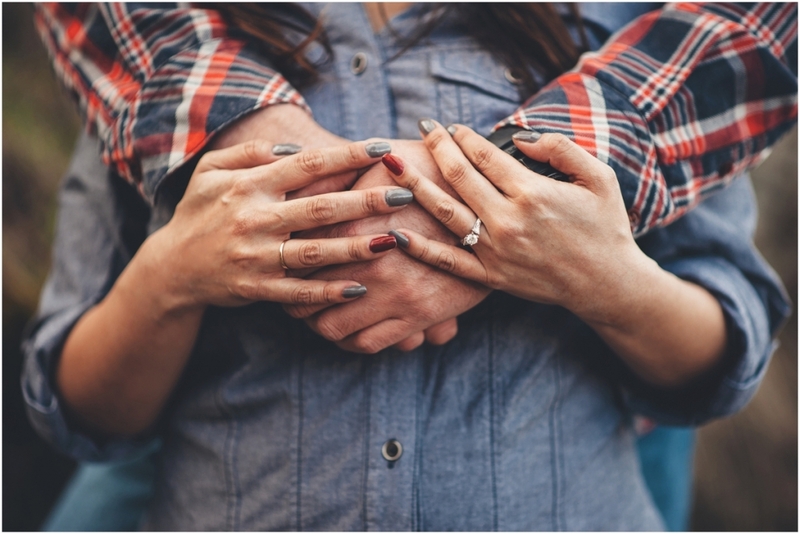 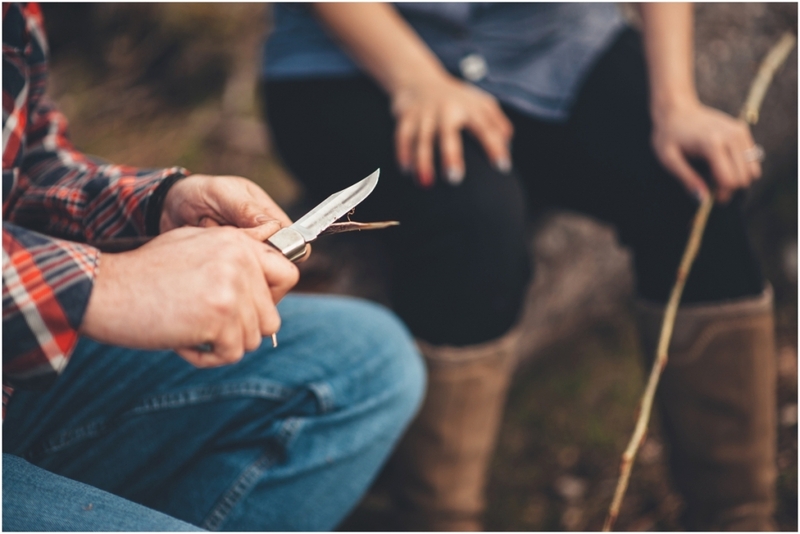 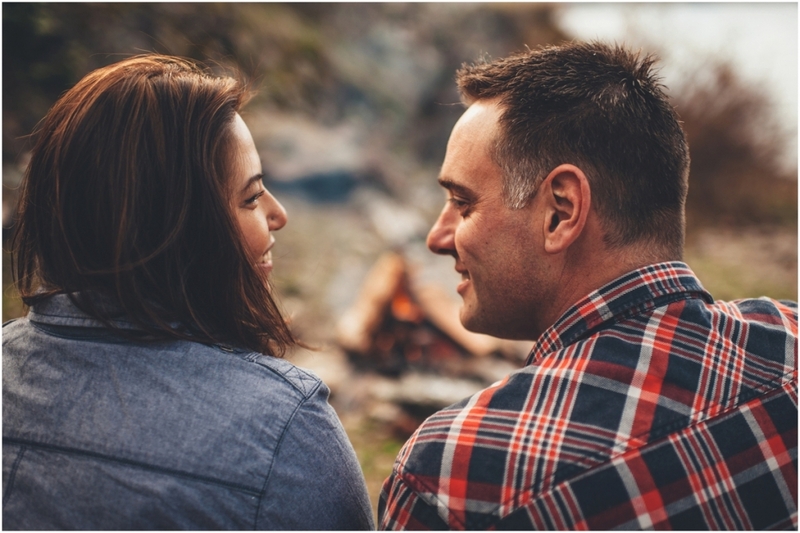 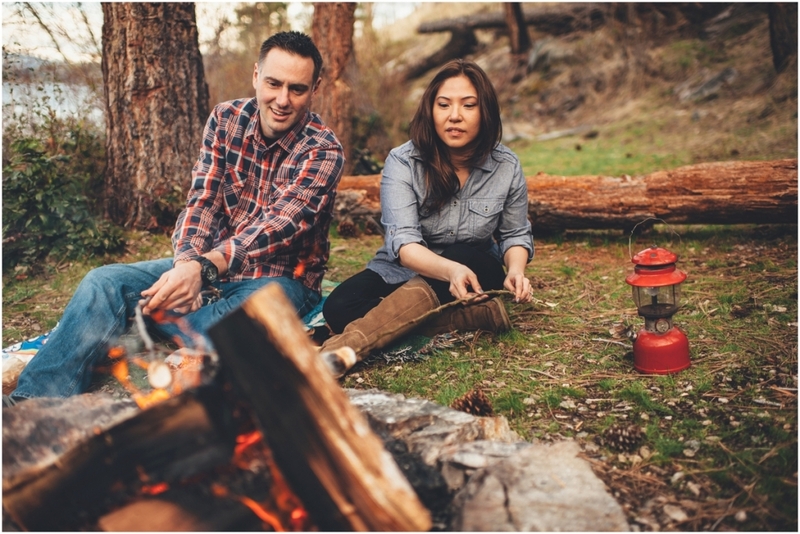 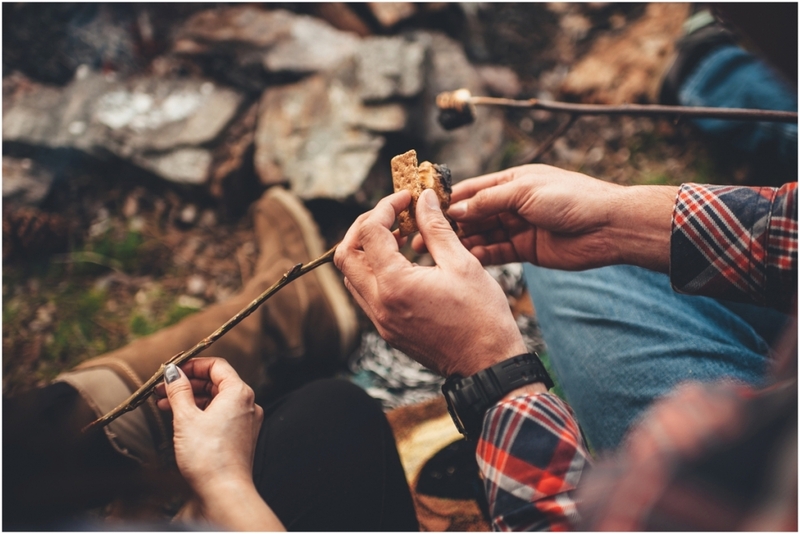 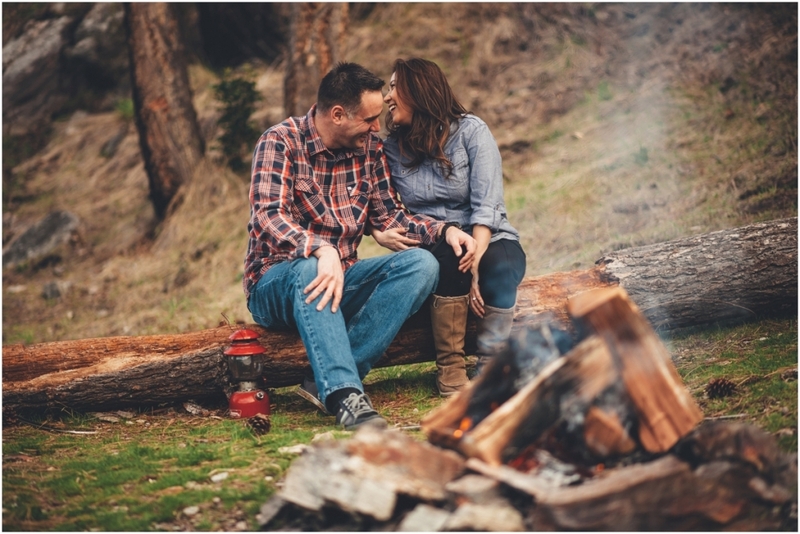 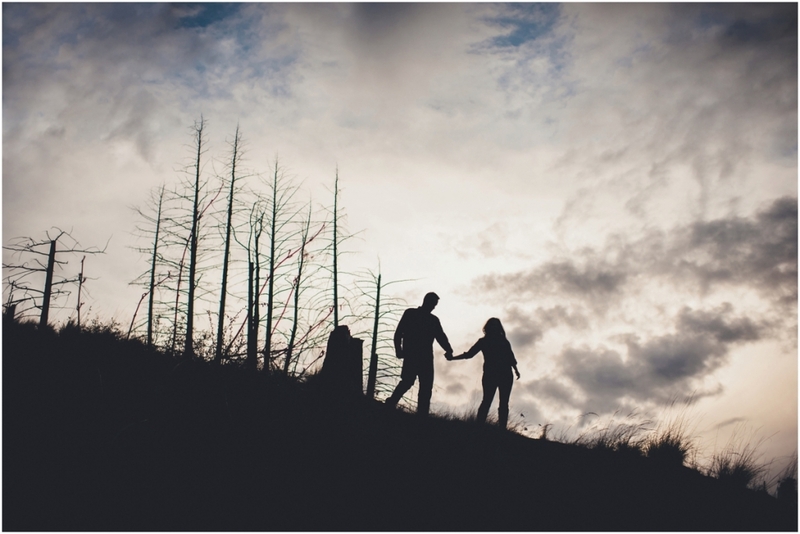 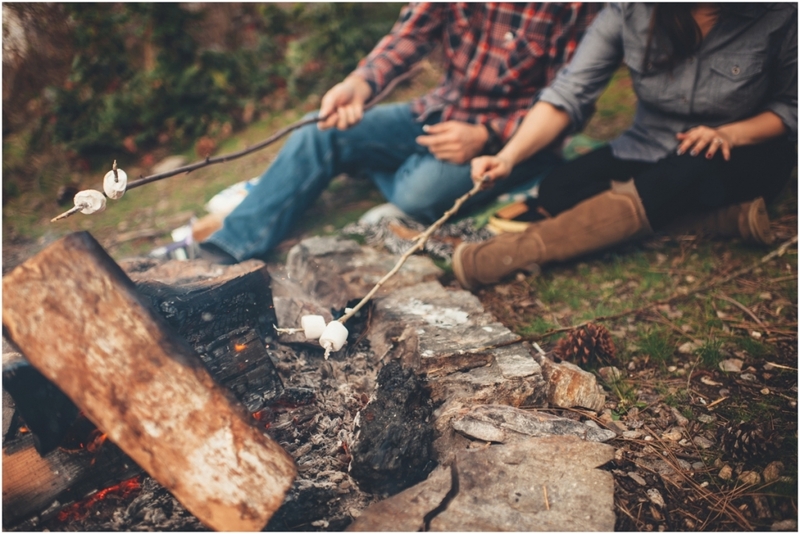 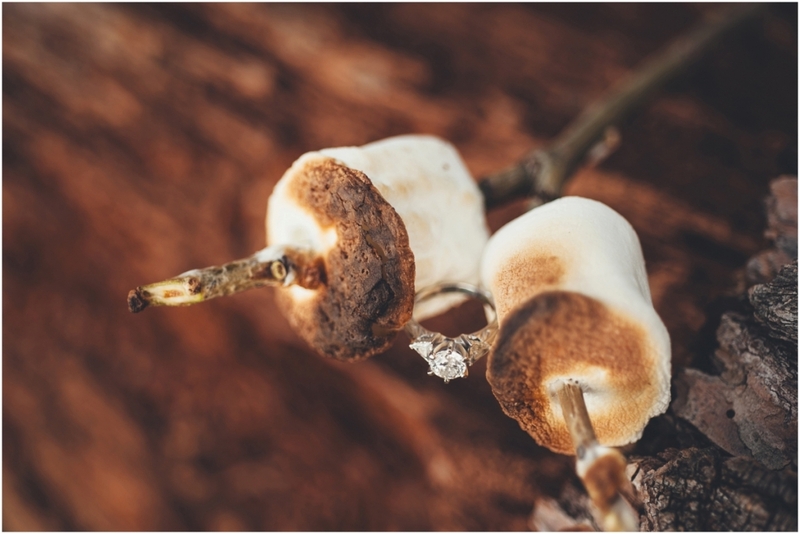 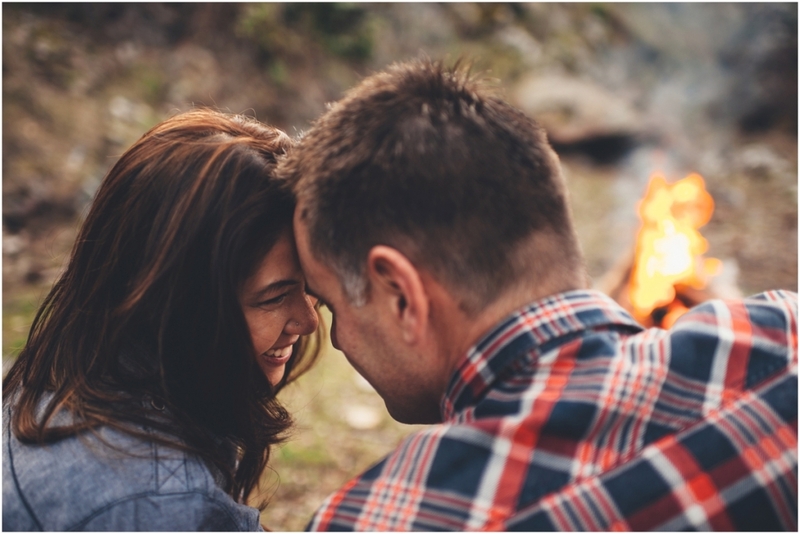 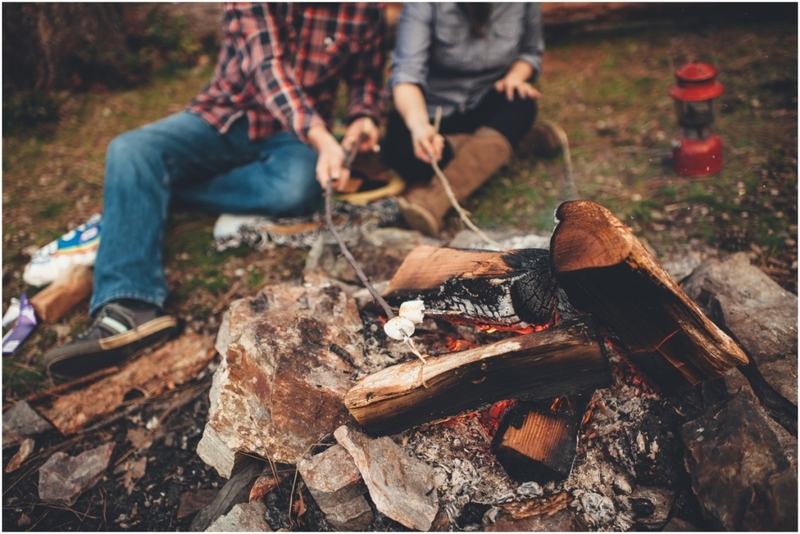 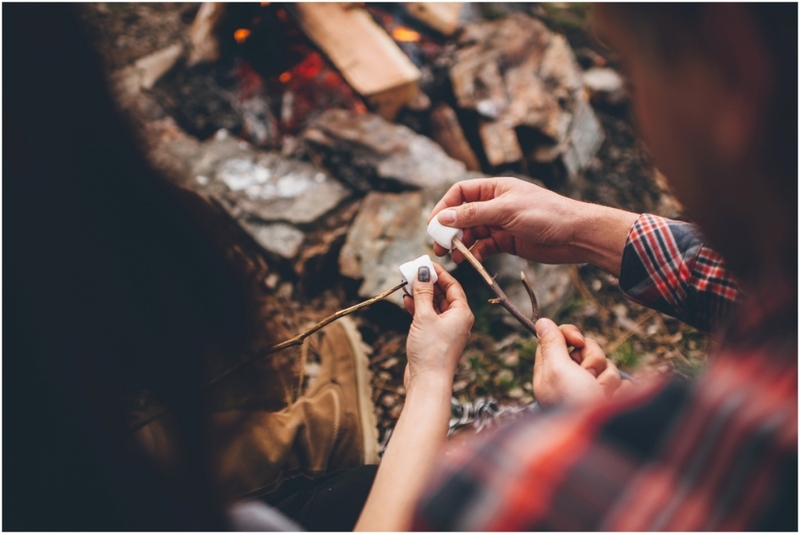 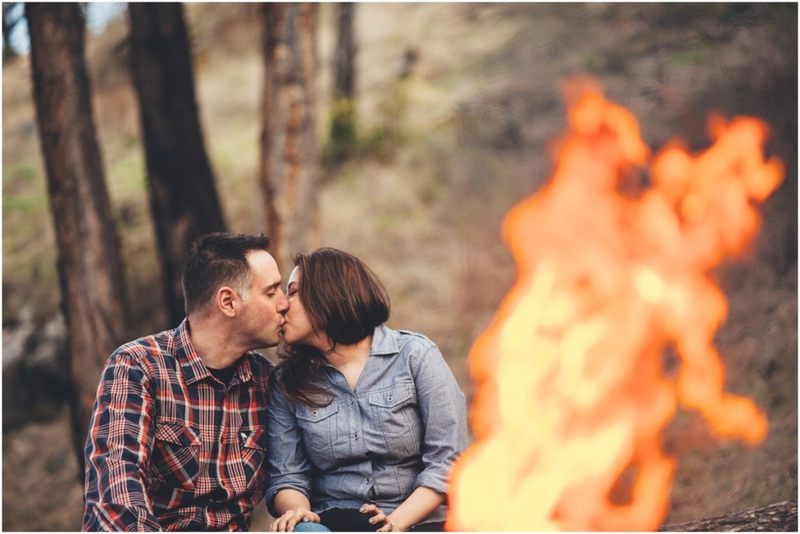 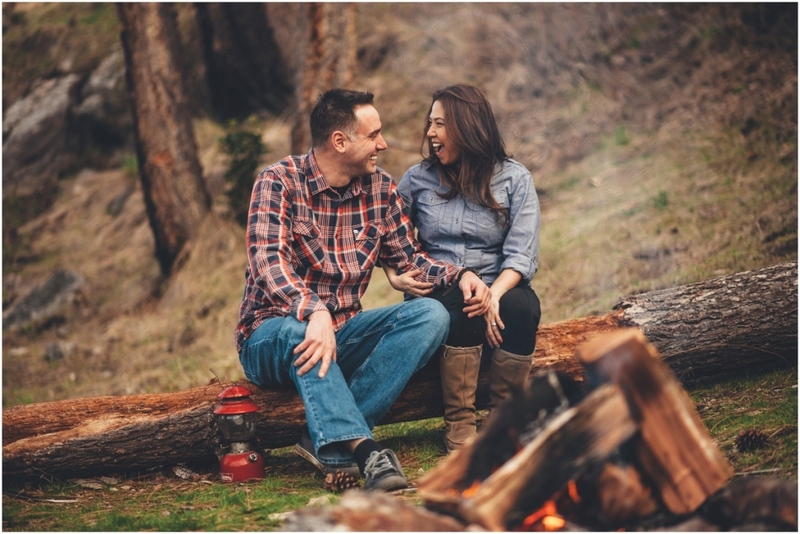 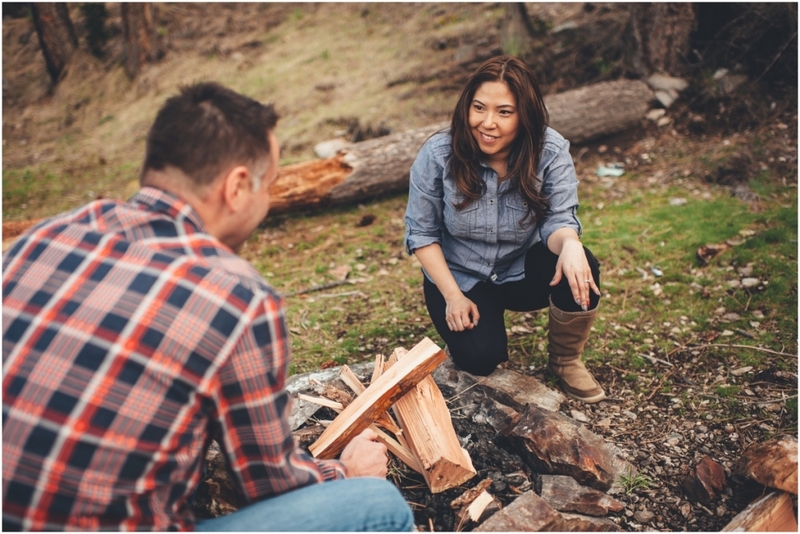 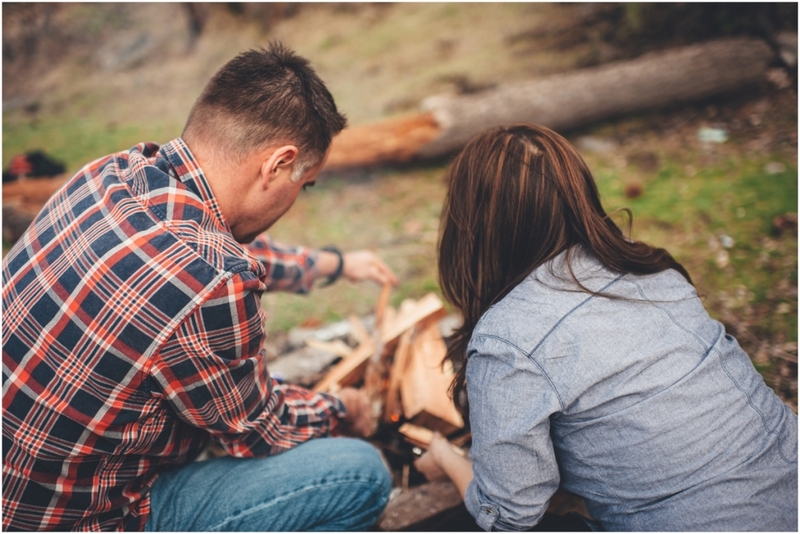 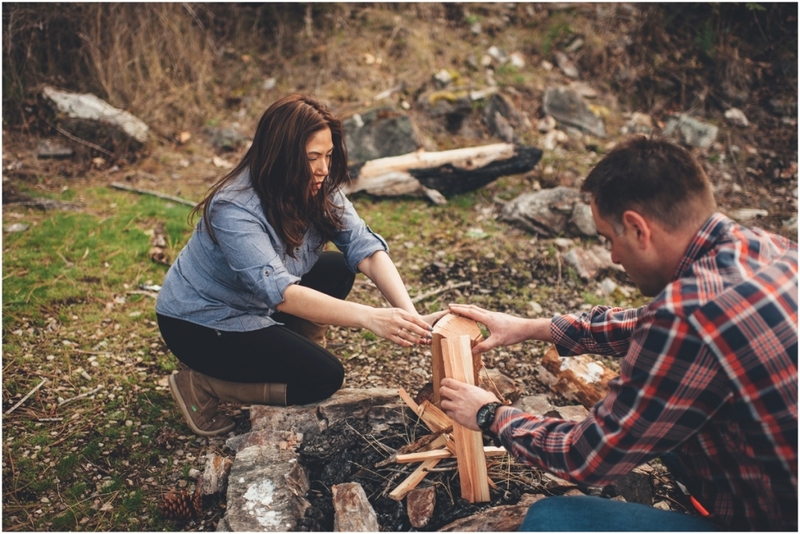 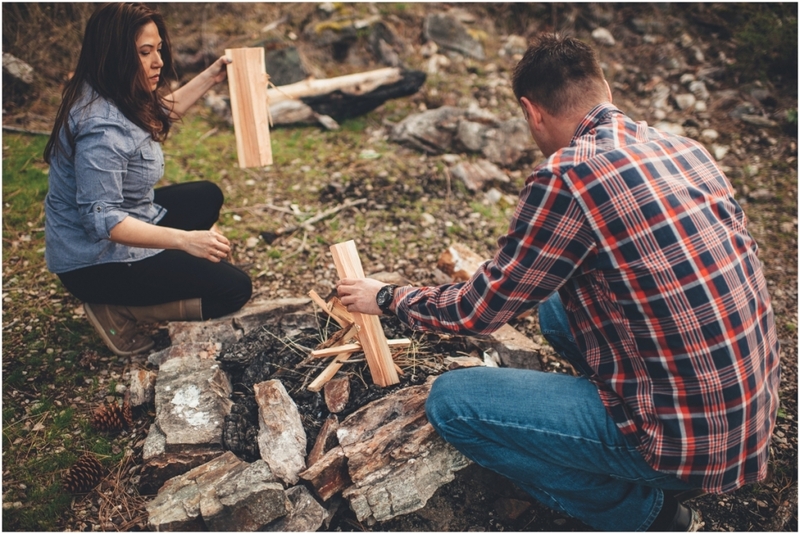 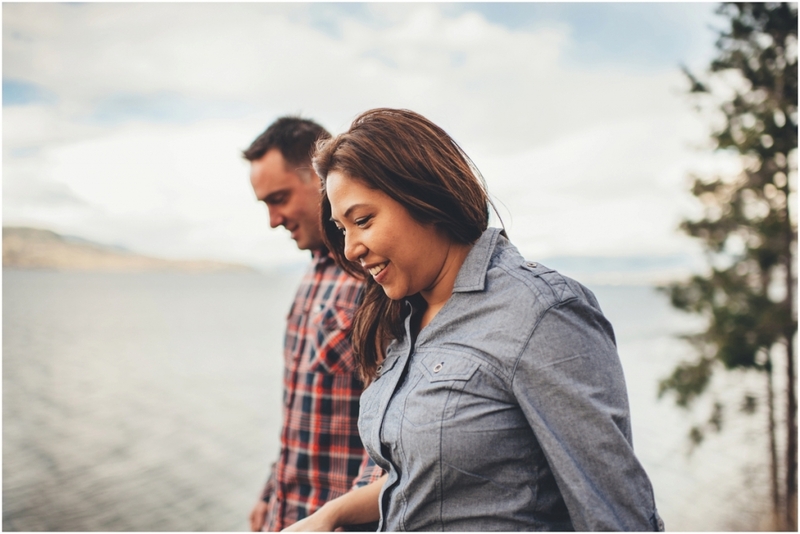 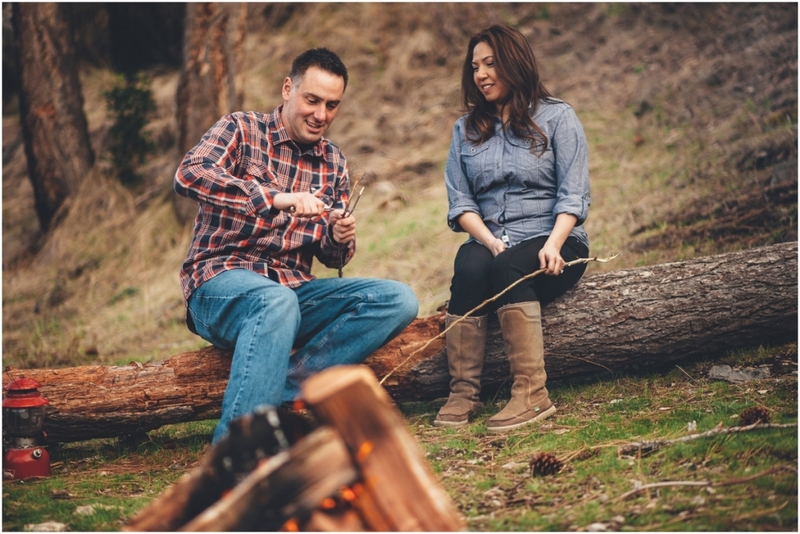 It’s the little things in life that you’ll cherish forever, like being around a warm campfire in the beautiful Okanagan making s’mores with the one you love. 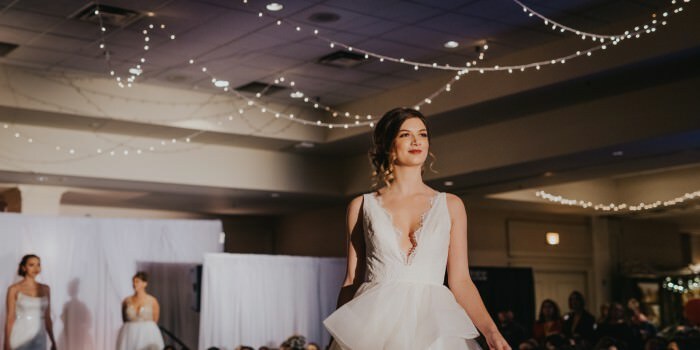 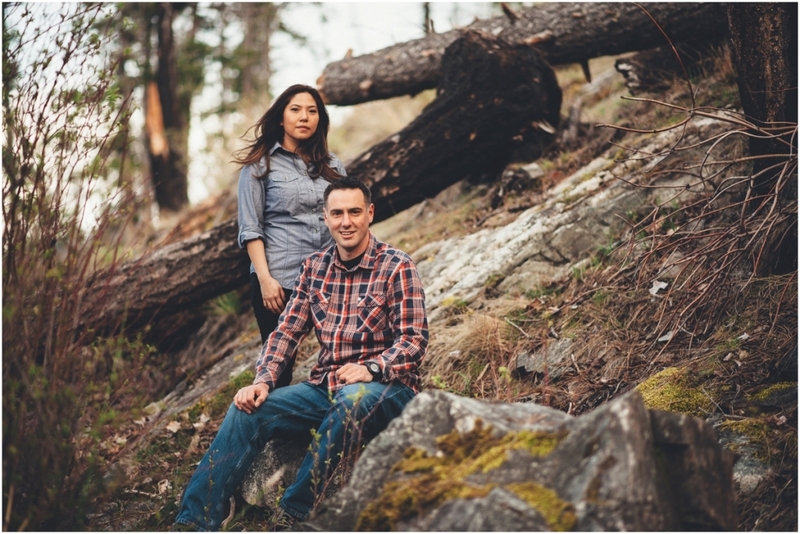 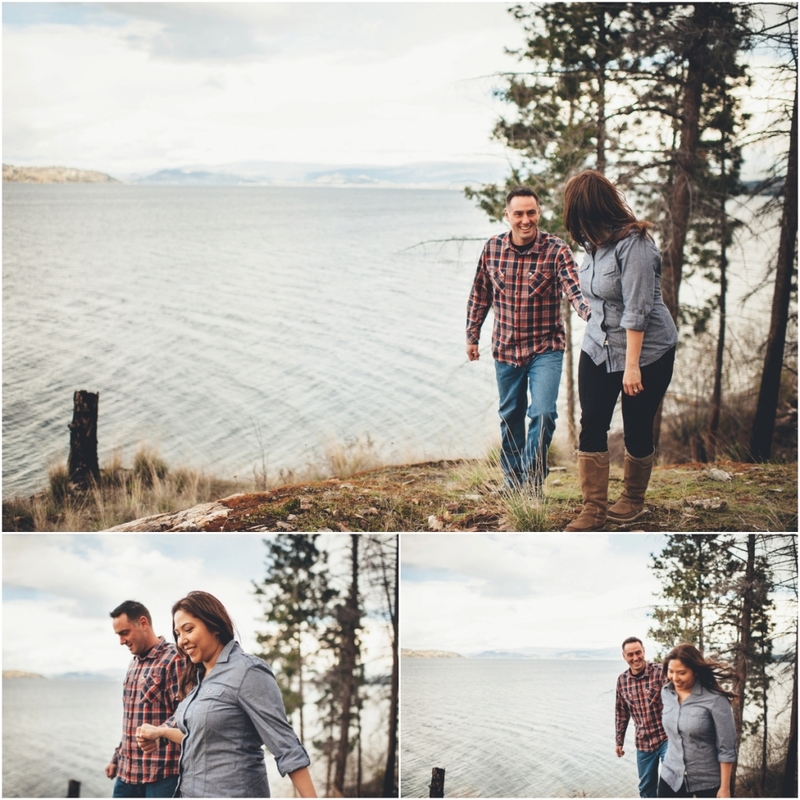 Both Christine and Tyler grew up camping with their families; a lot of their favourite childhood memories are of the camping trips they took. 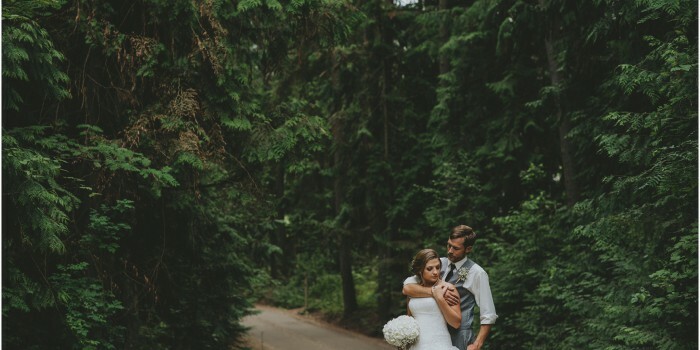 They have carried this into their lives together. 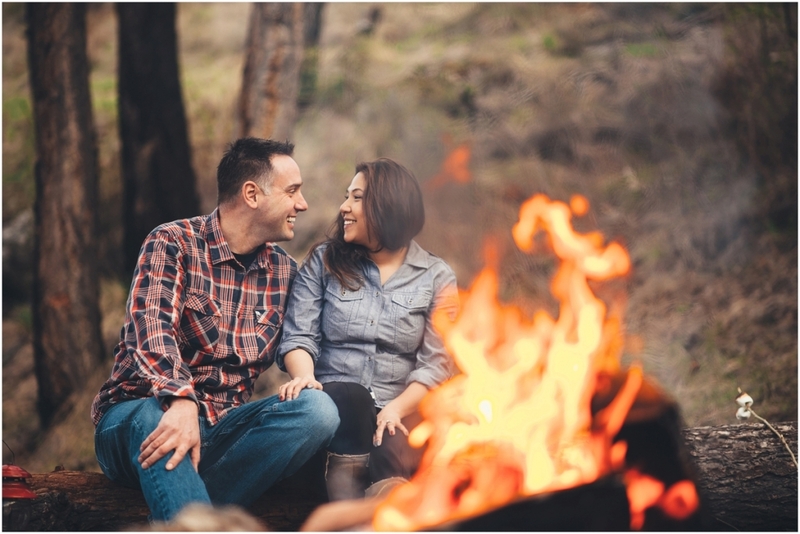 There is nothing they enjoy more than sitting around a campfire with good friends and family. 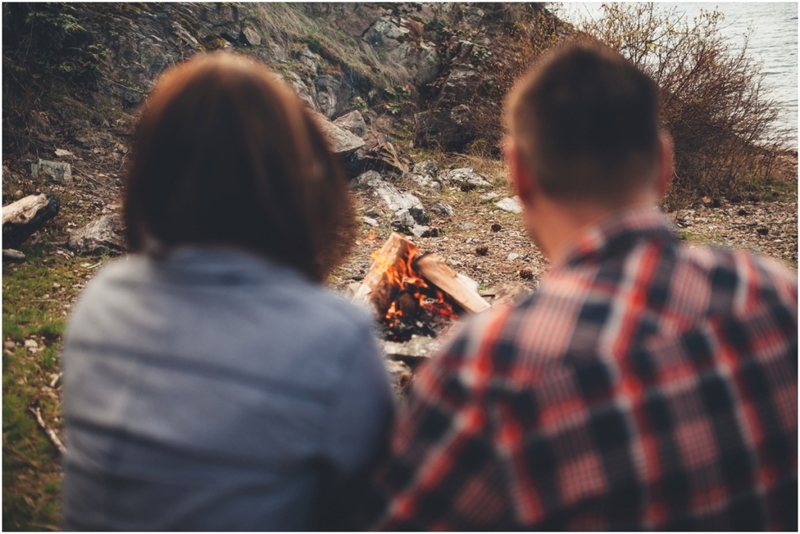 It is a simple escape that they take regular advantage of and it is also something that will play a heavy part in their new life together. 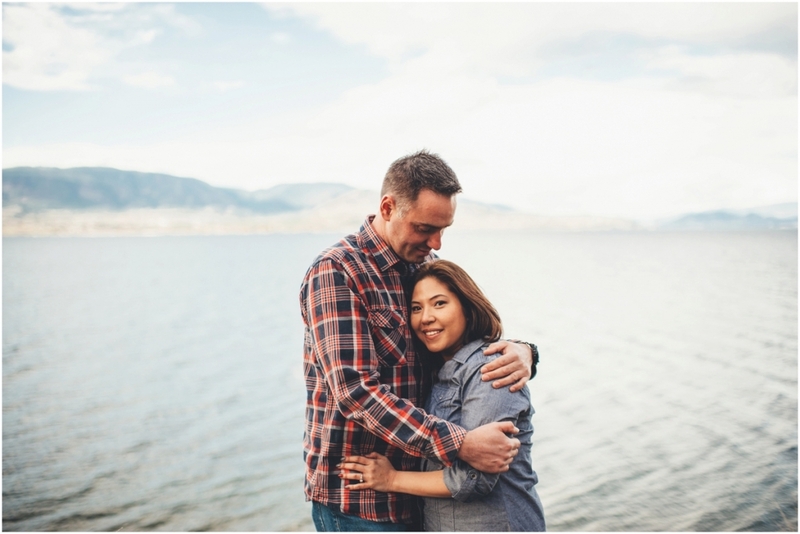 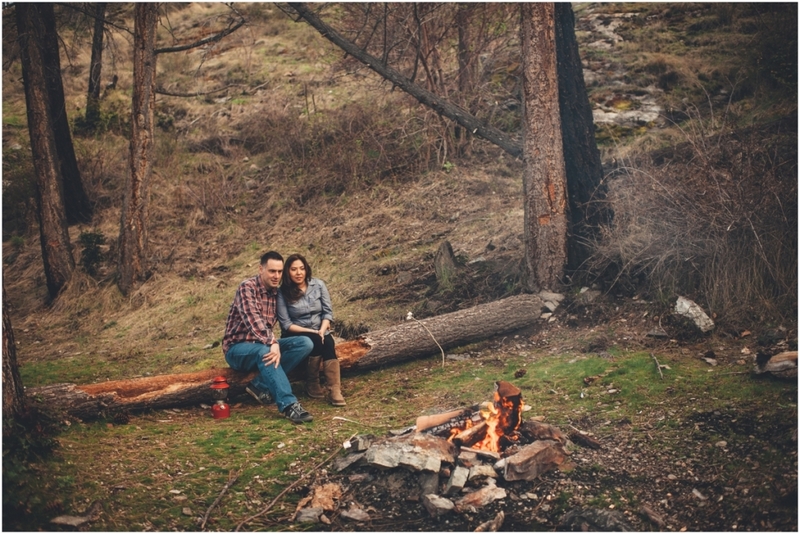 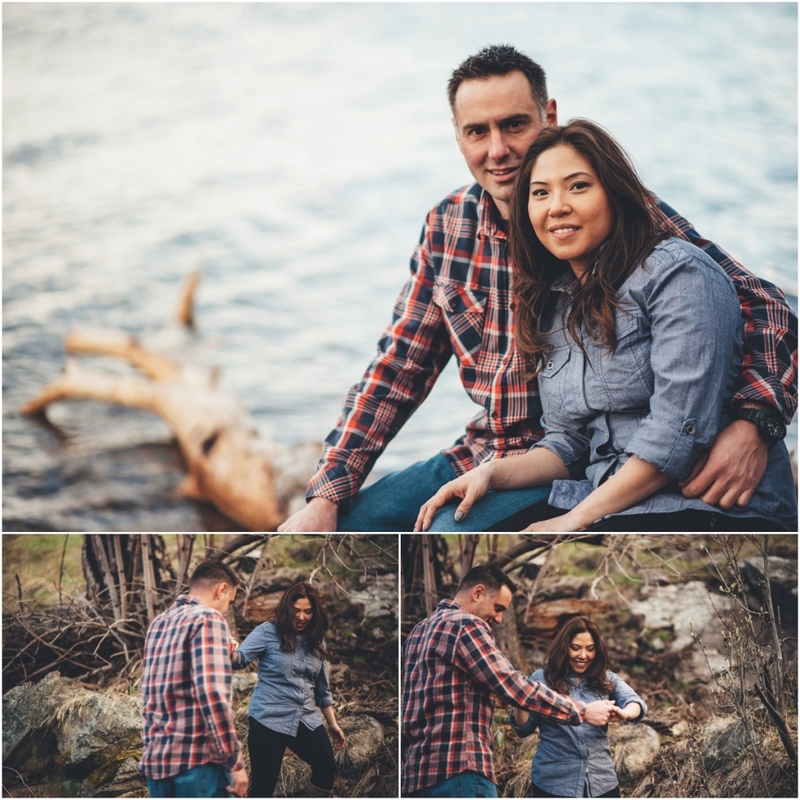 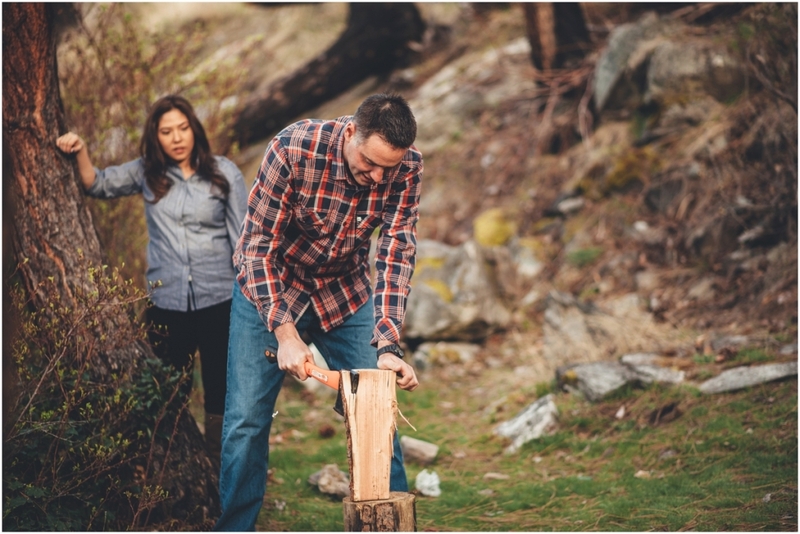 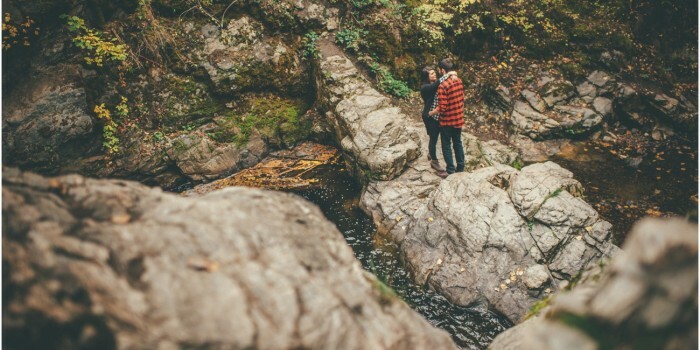 So knowing that, we headed out into the Okanagan on an adventure to find the perfect spot to settle in and have a campfire. 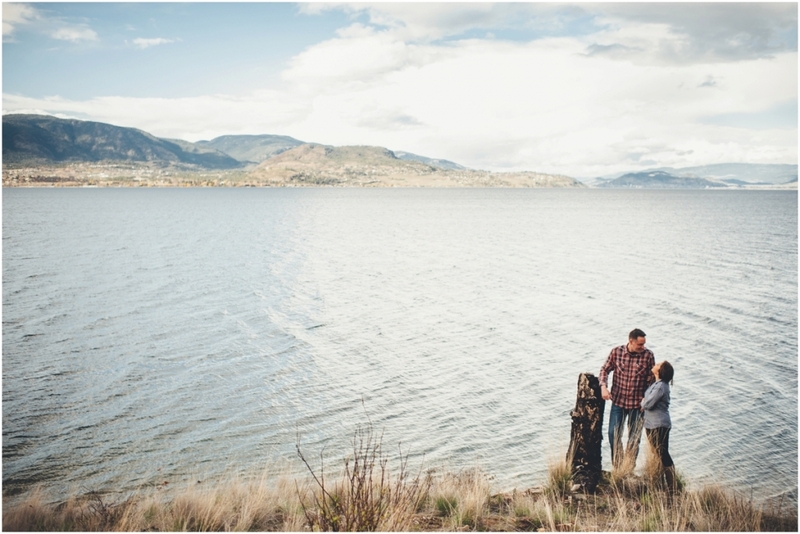 With the most amazing mountainside lakeview before us and Kelowna in the distance, we trekked down the steep side to get right to the lake where we found an awesome nook for a campfire. 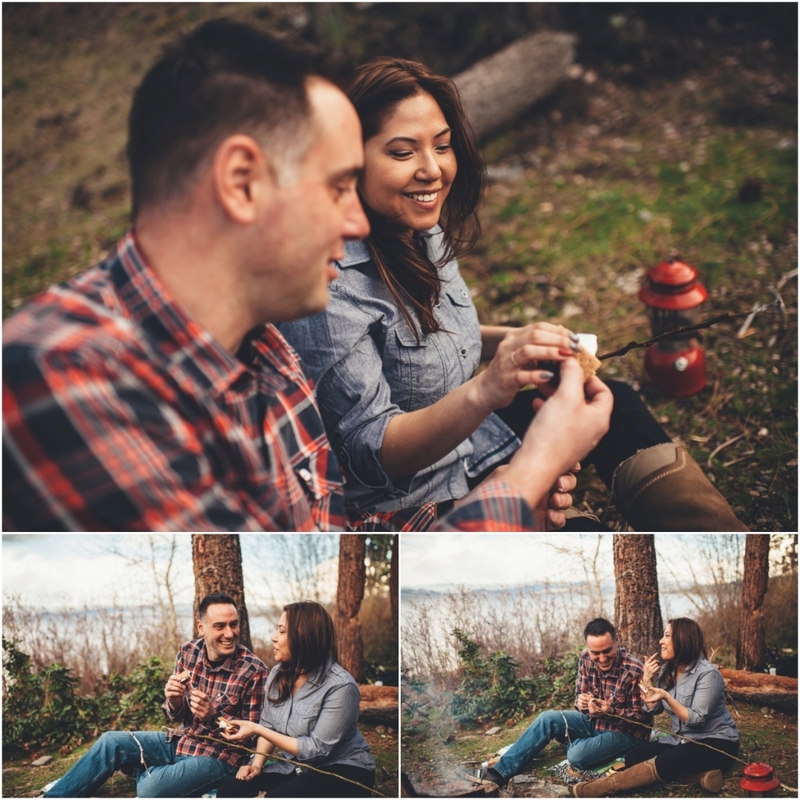 This, without a doubt, wasn’t the first campfire these two have started and they are by far the best S’more making team there is. 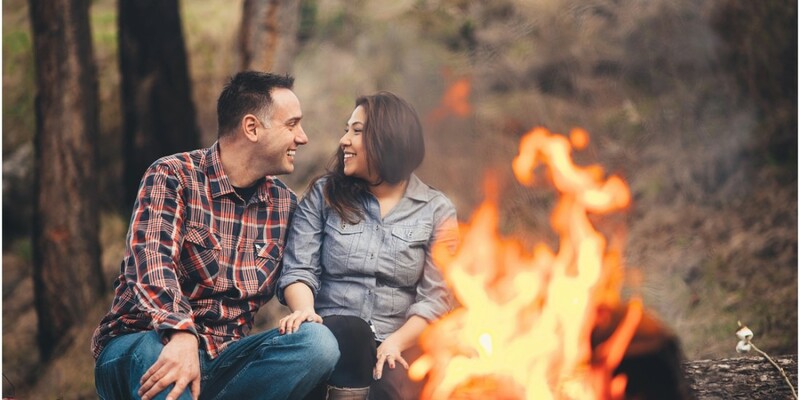 Seeing these two not be able to do anything but smile when they are together was more than perfect. 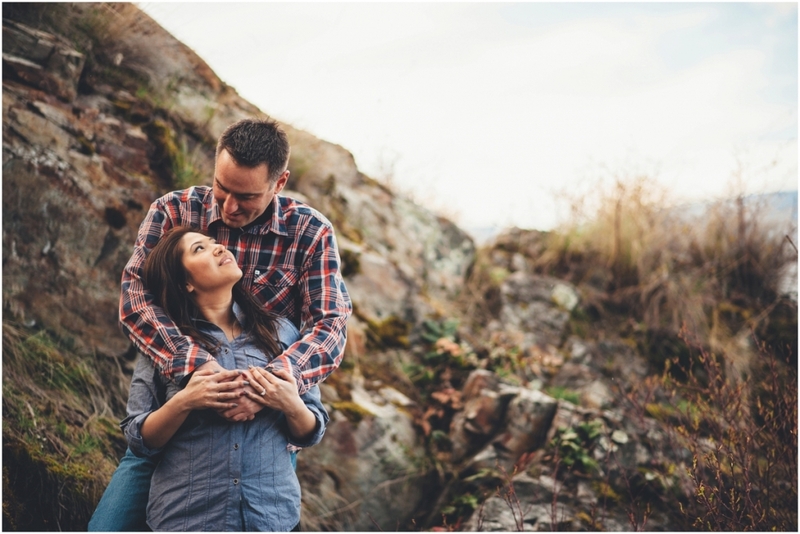 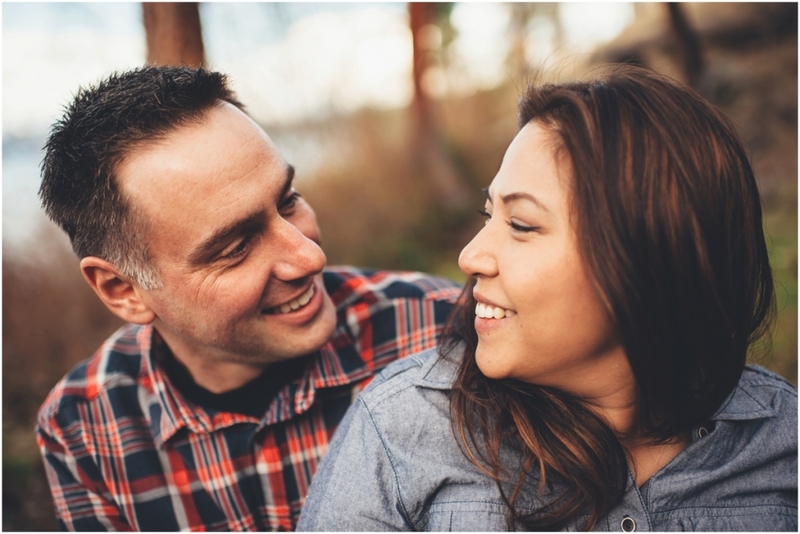 I’m lucky enough to say I get to spend another amazing day capturing these two as they say I do!